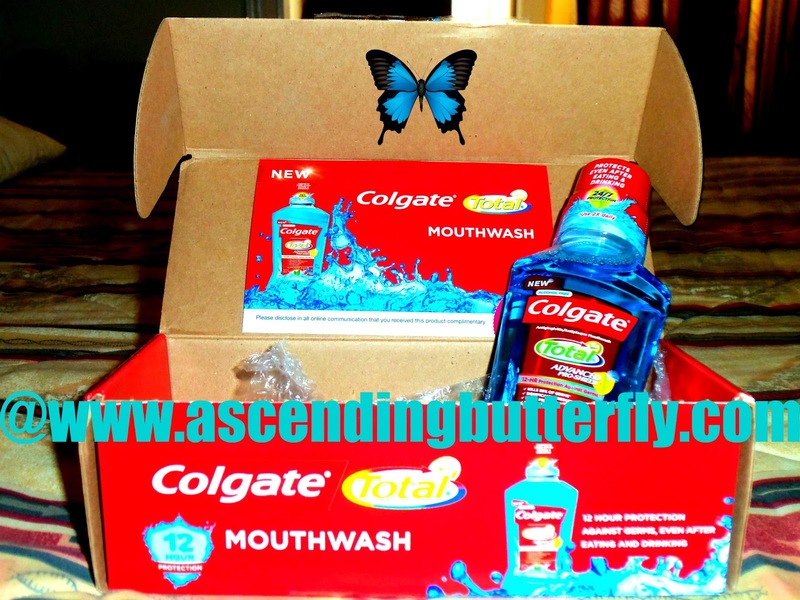 Ascending Butterfly: Wordless Wednesday: Check out what was in my #ColgateTotalMW @Influenster Box! Wordless Wednesday: Check out what was in my #ColgateTotalMW @Influenster Box! I am a member of Influenster and I find that the boxes are a great way to discover new products from brands I already know and sometimes from brands I don't. I use Colgate Total Toothpaste, and was surprised when this box arrived from Influenster to learn that they have a Mouthwash for it now! If you already love the toothpaste, you will definitely love the Mouthwash too! Thanks Influenster! Hope you enjoyed peeking inside my Influenster Box! Happy Wordless Wednesday Butterflies! We are too informal for an official linky around here, so bloggers please feel free to comment below with the link to your Wordless Wednesday post (NO Giveaways Please!) and we will be sure to pay you a visit and return the love! Even after eating and drinking this Mouthwash provides 12 hours of protection with NO burn of alcohol, it kills 99% of germs, and that my friends is definitely something to SMILE about! FTC Disclosure: I am a member of the Influenster Program, I receive Influenster Boxes free of charge with supplied products for Editorial Consideration and Review, these campaigns are not compensated and all opinions are 100% my own. See our full Giveaway & Disclosure Policy for more details.